We all know that there’s no such thing as bad weather, just inappropriate clothing. Kids have the right attitude — puddles are there to be jumped in, mud for sliding in, grassy hills for rolling down. Dirt is the mark of an adventure! But no one needs the fear of soggy socks. 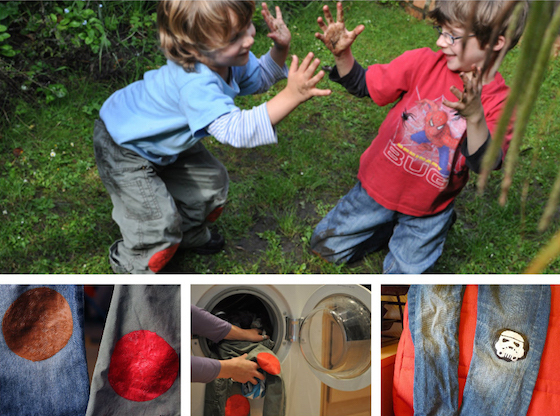 Watch our lovely video to see how easy Sugru makes it to patch up your favourite wellies ready for the April showers… bring on the puddles! 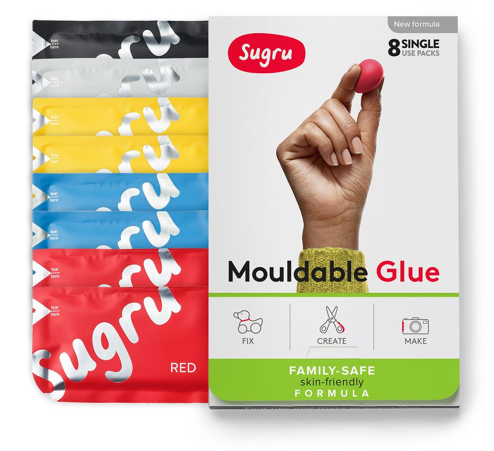 Sugru is easy to mould and bonds great to rubber — it’s strong, waterproof and stays flexible when set, so it can handle everything your little adventurer can throw at it! This idea will only take you about 10mins and it doesn&apos;t need much Sugru — so you can get the family’s rain boots patched up with a single pack, or use the rest for another project (more ideas below). Step 1 — Open your pack of Sugru, pinch off a small pea-sized piece and roll it into a small sausage. Step 2 — Position the Sugru sausage across the tear in the material and smudge the Sugru in with your finger until the area is covered. Tip: for larger tears you might need to build up a few of these layers to cover the rip. Step 3 — Smooth the Sugru with your finger and ensure the Sugru has a good bond to the surface, then leave to set. 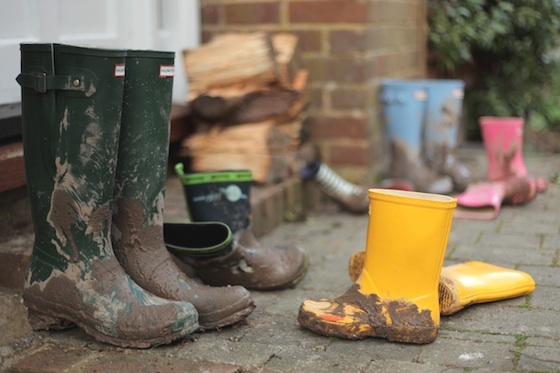 In 24 hours your wellies will be ready for some fun-filled puddle-jumping! 1. Let kids be kids! We can’t stop kids from sliding everywhere on their knees, but we can stop their trousers from tearing! Maybe we can even stop wet April grass from staining their knees a stunning green by using Sugru to create hard-wearing patches. These patches protect the fabric and extend the life of those over-worn clothes kids would sleep in if they could. A broken zip can ruin everything! Because Sugru is rubbery and grippy, it’s perfect for rebuilding any zip. All you need is a paperclip and your favourite-coloured Sugru. Follow James’ lead who used Sugru to patch up tears in his favourite jacket. You’re just as safe placing your repaired clothing in the washing machine as you are running through an April shower! We love this idea from Lorraine, who used Sugru to stick coat pegs to her radiator. Now her kids can hang up their own coats – and they&apos;ll be toasty warm after those cool April showers!